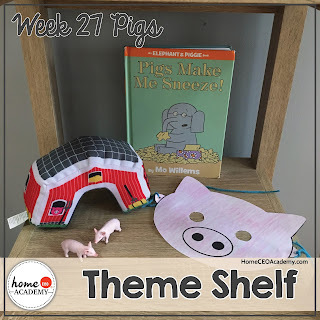 Our pig week was full of fun, engaging, and slightly messy activities! I am pretty sure that if we still lived in California, Porter would have no idea what the bottom left picture is. 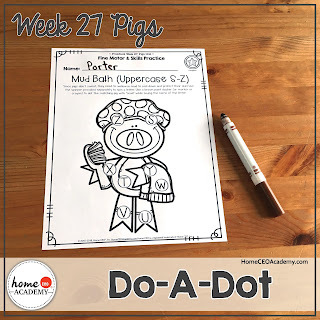 I dare you to find me a preschooler that doesn't like a good do-a-dot activity! 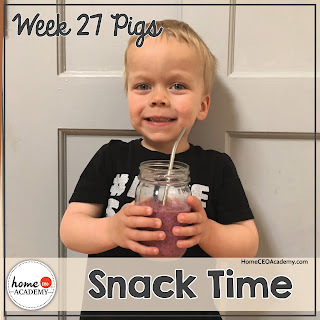 A "pink piggy" smoothie is the perfect snack time treat during pig week! If you are feeling cheeky, drizzle some chocolate syrup on the top and call it a "muddy pig!" 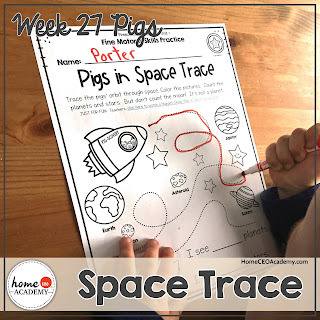 Porter did a great job helping the pigs on their space mission! 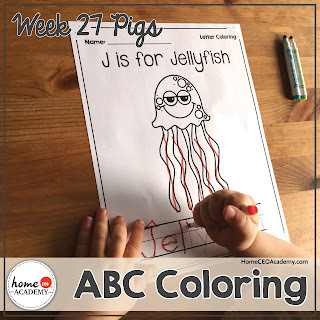 We LOVE our alphabet coloring pages!!!! Grab them a la carte here. "The exercises of practical life are formative activities"- Maria Montessori. 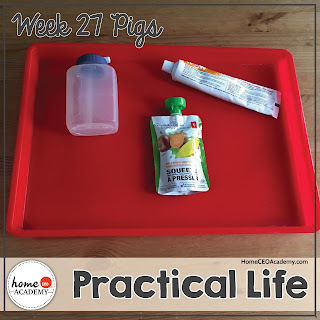 Practical life skills are by far my favorite tenet of Montessori education. This week, Porter practiced opening and closing frequently used screw top items. I thought the piggy bank would throw Porter for a loop, but I can't get anything passed this little guy! 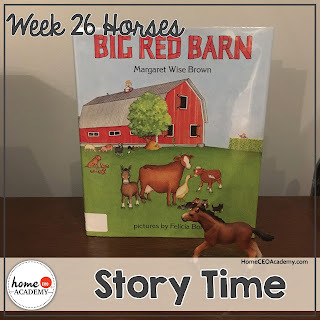 We used The Big Red Barn by Margaret Wise Brown(one of the suggested stories for this week) as a reference with this activity. I can't believe we are heading into the last quarter (All About Me) of our full year totschool curriculum! Head over to our website if you would like to learn more about either of our programs. Q: Where do horses like to shop? Stop what you are doing right now and google "horse jokes." 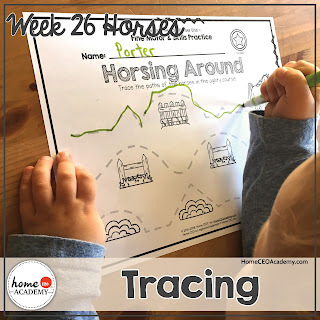 Porter and I had a great time laughing and learning about horses (week 26 of our full year preschool homeschool program for 2-3 year olds) this week. 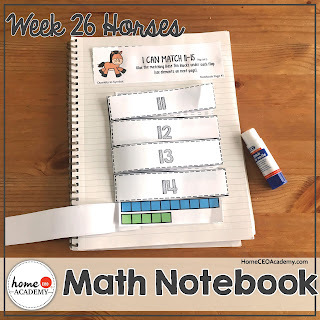 If you can, tape one of the 3-part cards to your little ones marker to they really make the horse "jump." YouTube has some great horse jumping videos too! 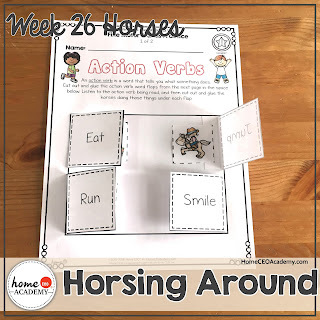 We talked about action words this week. Porter enjoyed finding the correct card and gluing it under the correct flap. I'm going to be honest here. I had no idea Marget Wise Brown wrote anything other than Goodnight Moon and The Runaway Bunny. How could I have missed this gem!?!? 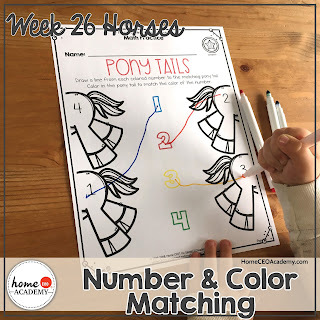 Color matching, number matching, and fine motor skills- this is the totschooling trifecta! 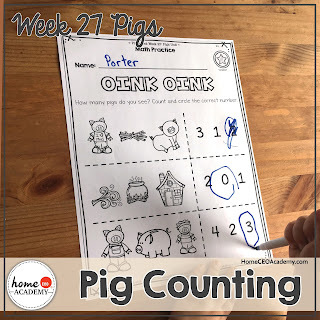 Porter went right to it with this activity! I didn't even have to give him directions. Glue sticks and scissors make math days exponentially more fun! 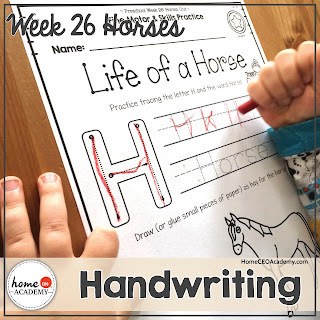 It is only fitting to practice writing the letter H on horse week! These hands belong to my 6 year old daughter. I got her a form drawing book a few weeks ago and she has really taken to it. 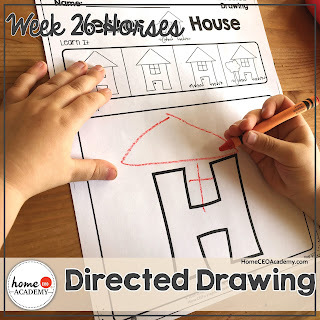 So she has decided that the directed drawing worksheets are hers now. Lol! 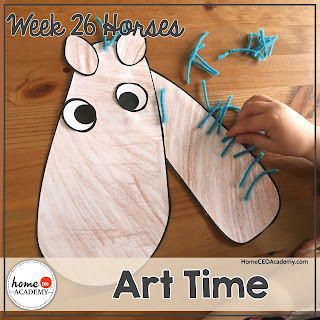 Stick this yarn horse to a broom and have a little rodeo in your living room! 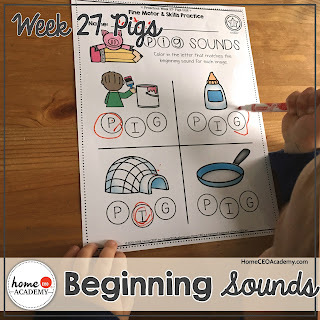 One of the great things about home education is that there is no "right" time to start. You can start in September, January, or on a Sunday night in April. Check our website for more information on our full year curriculum or feel free to send me an email. 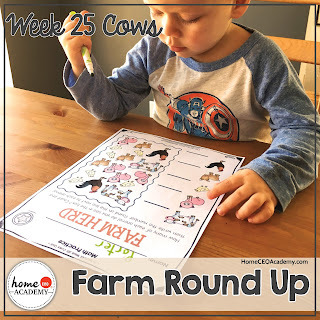 In week 25 of our full year totschool program, your little one will learn all about cows! 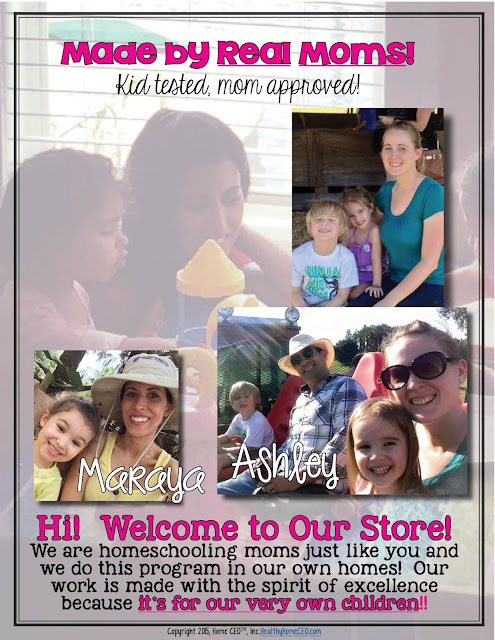 Take a peak inside our kitchen table classroom. 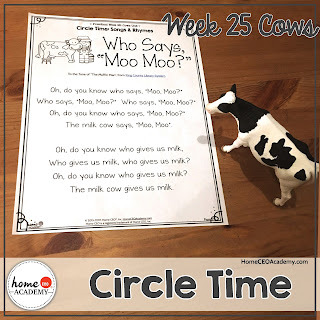 This is our new favorite circle time song! I lost track of how many times we sang this over the past week. 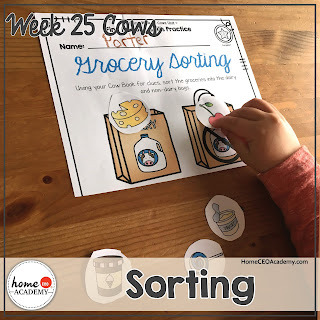 This song made a great transition to this sorting activity! I remember when Porter started our program over a year ago and could only put pom poms on clip cards like these. Now he's tracing the letters! 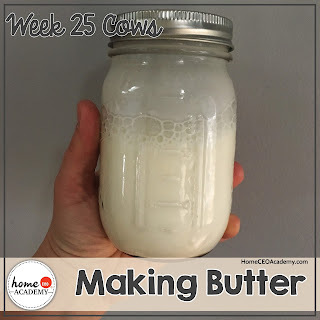 Our snack activity for our cows unit was to make your own butter. I'm going to be honest with you here, homemade butter is life changing! I may never spread anything other than it on my toast again! It was quite an arm workout for the kids and I too. 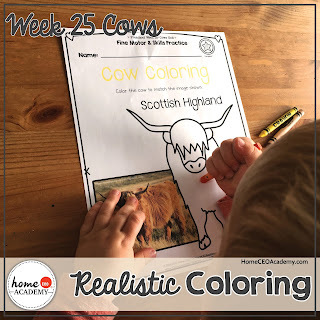 "I bet this cow is very soft," said Porter while he colored. 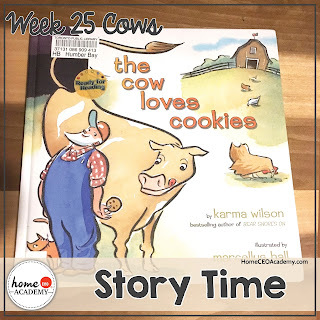 This is a sweet story of a farmer and his special relationship with his cow. It was too stinkin' cute! 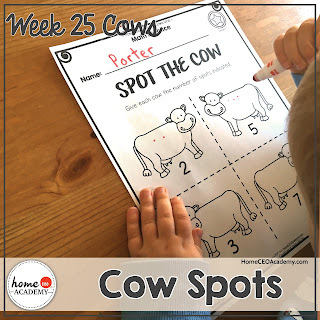 Porter's spots were a bit more like freckles, but he got the point! 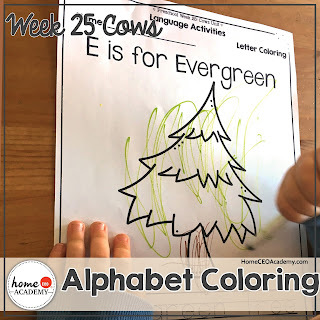 "E is for Christmas tree" Sorry buddy, not exactly! We love I-Spy books in our house. 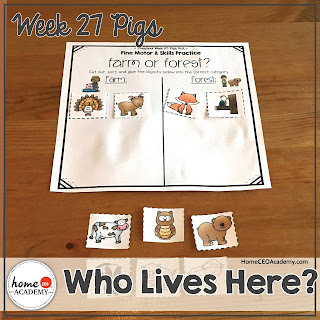 This worksheet did not disappoint! Since we are wrapping up our animal quarter, this was also a great review of animal names. 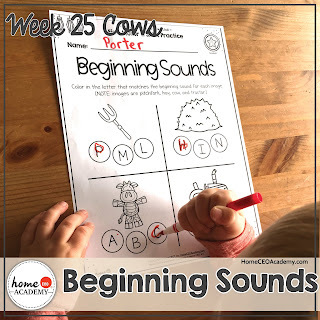 Porter and I may be on week 25 of our curriculum, but the best thing about homeschooling is that you can start any time! Check out our website for more information on our full year program or feel free to email me. 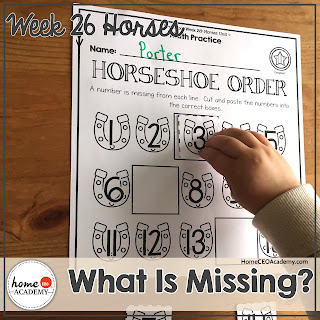 Come back next week to get a peak inside of our horse unit!